Introduced in 2005, iDEAL is an online payment method that has become the standard for borderless money transfers across the Netherlands. 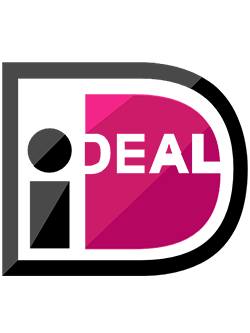 The launch of iDEAL was brought about by the necessity of introducing a universally accepted online banking solution that allowed for the reduction of transaction costs. Before the arrival of iDEAL, Dutch residents had a choice from a variety of online payment platforms such as KPN’s Switchpoint and the Amro e-wallet provided by the Dutch bank ABN. However, this huge variety of unstandardized banking systems only confused Dutch payers. This caused several banking institutions in the Netherlands (ABN, Postbank, Rabobank, and ING Bank) to team up in 2004 and announce the launch of iDEAL, a payment platform integrated into the systems of major Dutch banks that support online banking. In 2006, iDEAL became part of Currence, an association whose purpose is to coordinate all payment systems across the Netherlands. 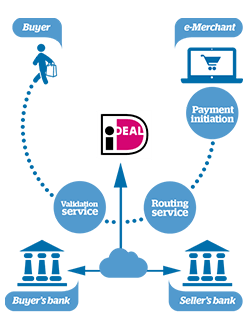 Today, iDEAL is easily the most popular online payment solution in the country and one that boasts the figures necessary to back its solid position on the local market. As of 2017 alone, the platform has processed over 378 million borderless transactions. The method is widely used by online casino players from the Netherlands. It is preferred by many because of its simplicity, low costs, and optimal safety of use. You will see it in the cashier systems of most Dutch-friendly gambling sites but how does it work? Read on to figure out. This payment solution allows for risk-free online money transfers in real time and does away with the necessity of using a credit/debit card or an e-wallet. In fact, iDEAL is not an online banking service by itself since all it does is provide the protocols needed to conduct payments at no cost using your existing online banking account. In essence, the platform acts as a middleman between the player and their bank. This makes it possible for the player to transfer money from their personal account to that of any iDEAL-friendly casino on the web without compromising their sensitive banking information. The method works similarly to payment solutions like Giropay and Sofort, which are quite popular among casino players from Germany. To use iDEAL, one is, above all, required to hold a bank account with a participating financial institution in the Netherlands. Dutch residents interested in using iDEAL for online gambling purposes should open accounts at one of the above listed financial institutions and subscribe for its online banking service if they have not done it already. Once you log into your casino account, you must open the cashier and select iDEAL as your desired method of payment. You enter the preferred deposit amount in the designated field and click the Deposit button. A new window that transfers you to the iDEAL system will pop up and you need to select one of the banks affiliated with iDEAL from the drop-down menu. The system will then prompt you to choose from online and mobile banking. Once you pick one of the two options, you will be redirected to the log-in page of your bank where you must input your banking details. Some banks would require Two-Factor Authentication codes as well. These codes can be used a single time only and greatly enhance the safety of your payments. All that is left for you to do is follow the system’s prompts in order to complete the money transfer successfully. Make sure your transaction’s details are entered correctly. These normally include the deposit amount, your name, the number of your bank account, the transaction’s date and time, and the transfer’s reference number. Once you hit the Confirm button, you will be taken back to your online casino of choice. The money you have deposited will be credited to your casino balance as soon as the casino receives a confirmation for the transaction from your bank, which usually happens immediately. The deposited amount will show at the top of the page, next to your casino username, within a couple of seconds. Note that it is also possible for you to carry out an iDEAL payment on your mobile device but we shall talk about this later in the Mobile Payments section. In the majority of cases, the player receives an email by the recipient, i.e. the online casino, as a confirmation for the successful deposit. Minimum deposit amounts for iDEAL depend on which casino you have signed up with but normally range between €5 and €20. One downside is the reverse process of withdrawing your winnings is largely impossible with iDEAL. You will need to choose an alternative method to cash your winnings out. Keep in mind many online casinos process the withdrawals of iDEAL depositors via standard bank transfers so it may take several days for you to receive the money. Using iDEAL for the purposes of conducting gambling-related transactions comes with many advantages. First and foremost, iDEAL boasts high levels of safety due to the fact the only parties involved in the transfer are your bank and the bank of your online casino. In practice, you are not sharing sensitive information with any third parties (or casinos in this case) since you are redirected to the online banking page of your own bank. This also enables you to conduct fully anonymous deposits. Your transactions are also well-protected against hacker attacks with robust SSL encryptions. Payments with iDEAL live up to the same security standards as regular bank transfers. Deposits with iDEAL are also conducted in real time and are completed seconds after you confirm the payment. Following the confirmation, the funds are immediately added to your online casino balance and you can start placing bets right away. What is more, iDEAL is also a very affordable banking solution. Consumers are not charged additionally by most casino operators when depositing through this payment platform. It is also unlikely for the affiliated banking institutions to charge service fees for processing iDEAL payments, but even if they do, the cost is usually nominal. The only fees that may result from using the service are those for payment requests with QR codes from one iDEAL consumer to another, in which case you will have to pay the nominal amount of €0.30 per payment request. Many of the largest gambling sites in the industry have already picked on iDEAL’s growing popularity and have added the method to their cashier systems. What this means is you will not have to look around for long before you find a reputable online casino that supports iDEAL payments. There is no need for you to register any accounts in order to use the service. Having a credit or debit card is also unnecessary with iDEAL although you can top up your card with this method if you do have one. The same goes for e-wallets like Neteller which also can be funded via this third-party banking platform. Purchasing Paysafecard through the iDEAL system is also an option. Another important benefit that comes with using iDEAL is that it allows for greater flexibility with your payments. Deposits with iDEAL can be conducted effectively on mobile devices as well as on desktop computers and laptops. This gives you round-the-clock access to your funds and bank account and enables you to top up your casino balance from any location you like. There are but a few negatives that result from using iDEAL as a casino deposit method. As cost-effective and user-friendly as this banking solution is, it processes money transfers in one currency only, which is the EUR. This may lead to you paying extra for currency conversion which is always a nuisance. Another disadvantage results from the necessity of having a bank account at a bank that also provides online banking services. Not all casino players have one but even if they do, some people may be reluctant to use it for gambling purposes. That brings us to the biggest issue with iDEAL. You must have an account at one of the Dutch banks affiliated with this payment processor. In essence, only players from the Netherlands can use iDEAL which is a major downside. The fact iDEAL is unsupported for withdrawals only heaps insult on injury. This puts you to a major inconvenience because you will either have your returns credited back to you via a bank transfer or will have to look for an alternative method to cash them out. Last but not least, let us not forget iDEAL payments are practically irreversible. The money you deposit is deducted straight from your bank account. Once the payment goes through (and this happens within seconds), you cannot cancel it or receive reimbursement. As we mentioned above, affordability is one of the biggest positives that result from using iDEAL. Consumers are not charged service fees when paying through the iDEAL system. However, the party on the receiving end of the money transfer is allowed to charge additionally for payments with this method. That being said, all trusted online merchants would announce the service fees attached to iDEAL payments before the transfer is completed. The same applies to online casinos – most gambling operators are more than happy to absorb any additional charges resulting from depositing with iDEAL. The only case when you may be required to pay extra is when you request QR codes for payment requests between consumers. These charges are, however, minuscule at €0.30 only. It is up to the parties involved in the transaction to decide who pays this small fee. As you have probably noticed already, the funds are instantly deducted from your personal bank account when you are using iDEAL for online casino deposits. There are no waiting times whatsoever. The desired deposit amount is added to your available balance in the casino within a few seconds, which is great if you are itching to place a few bets. Time-efficiency is further improved by the fact there is no need to waste time signing up with an account when using iDEAL. You can start depositing immediately as long as you have subscribed for the online banking services of one of the participating banks. The absence of a registration process naturally eliminates the necessity of having to undergo identity verification on behalf of iDEAL. This spares you a good deal of time not to mention you will not have to bother with scanning and sending any documentation. Since withdrawals are not an option with iDEAL, there is a good chance your preferred online casino will issue your winnings via a bank transfer, in which case, you may be prompted to provide some documentation for identification. Of course, this all depends on the policies of the gambling operator. You can check with the support staff to ask whether or not this will be necessary. Keep in mind bank transfers are a relatively slow method to cash out from your online casino account. The completion of the transaction may require between 3 and 10 business days depending on the gaming operator. Mobile payments are made possible with iDEAL with the help of two dedicated applications for iOS and Android. The apps allow consumers to pay for online purchases by scanning the QR codes of the products they are interested in buying. You can also generate your own QR codes via the app and send them as payment requests to other iDEAL consumers. You are required to sign up within the app and provide your email address. Then you need to make a small payment of €0.01 to register the number of your bank account. Mobile casino players can also initiate deposits as they go with iDEAL. The procedure is roughly the same as that when depositing on desktop. The payment method works on all smartphones and tablets connected to the internet. You can deposit directly in your mobile browser by clicking on the iDEAL logo in the casino’s cashier, specifying the deposit amount, and choosing your bank from the drop-down menu. Many of the banks associated with iDEAL offer their own mobile banking. Provided that you are banking with a financial institution without a native mobile app, you can proceed to pay in your browser. The cashier will redirect you to the mobile banking page of your bank where you need to log in with your username and password. Then you select the bank account you want to deposit from. What follows next is largely based on which financial institution you are banking with. Some of the affiliated banks would send you a special code via a text message. You need to enter it into the specified field to authorize the payment. This is frequently referred to as a TAN code. You click the “Finish Order” to confirm the transfer and have the funds added to your casino account immediately. It really does not get any simpler than this. Since this payment method relies on internet and mobile banking, depositing with it at online casinos is just as safe as paying for online purchases through your bank’s online banking platform. In essence, you are doing just that since iDEAL is nothing but a middleman that connects you with your bank. No information regarding your account number is revealed to the casino in the process – all the better for players who insist on higher levels of anonymity. The payment details remain safe between you and your bank. Additionally, iDEAL utilizes advanced SSL encryption technologies to scramble your information in such a way so as to make it undecipherable for hackers and fraudsters. The same goes for iDEAL-friendly online casinos where SSL encryptions are also in place to protect players’ information from being compromised. Neither iDEAL nor the online casinos supporting it will reveal your personal information to third parties without having your permission first. Do iDEAL deposits qualify for bonus redemption? Unlike other popular casino payment methods like PayPal, Skrill, and Neteller, deposits made with iDEAL are not excluded from bonus participation. In addition to the welcome bonuses you can redeem with iDEAL, gambling operators using the method may offer you a host of daily, weekly and monthly promo deals, including reload bonuses, cashbacks, free spins, and loyalty bonuses. Is iDEAL available to casino players outside the Netherlands? Hypothetically speaking, all casino players can deposit with iDEAL as long as they hold accounts with one of the participating banking institutions that have integrated the method within their online banking platforms. However, there is a very small likelihood of a player outside the Netherlands to open an account with a Dutch bank – there simply is no reason for them to do so. So it would be fair to say iDEAL targets solely the Dutch market. Where can I deposit with iDEAL? This convenient payment method’s popularity has been on the rise in recent years, which explains the increasing number of reputable online casinos that accept it as a banking option. The operators working with the method are easy to spot. You simply have to scroll down to the bottom of the casino’s home page and check whether iDEAL’s logo is displayed in the footer. Some gambling sites have dedicated payment pages with tables containing all available methods along with the limits and processing times for each. Sometimes banking information is unavailable to unregistered players. If the casino’s cashier is accessible only after registration, you can get in touch with the support staff and inquire whether iDEAL is accepted. Is customer support available to iDEAL users? Since iDEAL is merely an intermediary between Dutch players and their banks, it does not provide customers with dedicated chat support. Your only avenue of contact is the email form on the website. You can also contact one of the participating banks for assistance and information on individual payments. The official iDEAL website lists the contact numbers and opening hours of all affiliated banks. You will find this information in the website’s FAQ section. Can I reverse deposits conducted with iDEAL? No, once your deposit goes through it is impossible to reverse it with iDEAL since the money is deducted straight from your bank account. The only option for you will be to request a withdrawal using an alternative banking method. Keep in mind some casino operators will not allow you to withdraw your deposit until you have wagered it at least once.